Everybody is talking about this Hunger Games star. 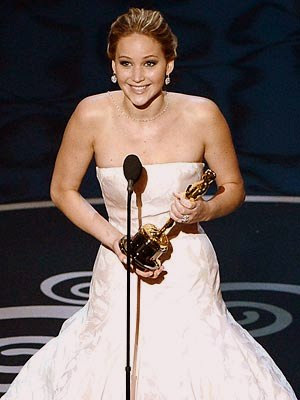 After winning the Golden Globe Award for Best Actress – Motion Picture Musical last month, she won again as Best Actress (in a leading role) by playing Tiffany Maxwell for Silver Linings Paybook. She came in this Dior Haute Couture white gown. Her updo looks amazing from front to back. As well as the gown! But she came to the stage with a smile, grateful that she won once again. Go girl!! It's that time of the year again. No, I am not talking about the EDSA Day, I mean the 85th Academy Awards, best known as The Oscars. As usual, I am making my own list of best-dressed and here they are. To Jennifer Gardner: So I guess Violet is back. Jennifer Aniston is the loveliest lady in red with effortless hair. Maria Menounos. I think I have a crush on this girl. I love the gown (it's pink) and her updo so much. All the beauties in glittery black.. Norah Jones, Halle Berry, and Naomi Watts. And those wearing something golden.. Jessica Chastain, Katherine Zeta-Jones, and Naomie Harris. Blue but not really blue. Jessica Hudson, Helen Hunt, and Reese Witherspoon (lovely hair). PS. I you are wondering why JLaw in not included in my list, I have a separate HERE dedicated just for her. This Sally Hansen Complete Salon Manicure polish was laying in my beauty stash for a while until I finally took it out for some experiment today. Big thanks to a Texan friend who gave it to me as a gift (read my previous post here). 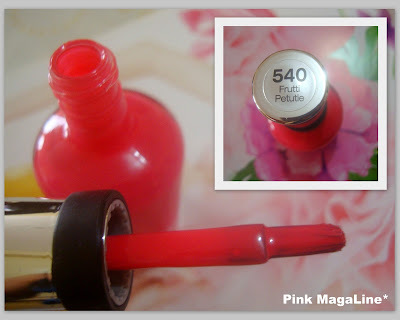 I am quiet a stingy person and wouldn't spend much on a tiny bottle of nail polish, so I think it's very sweet for her to treat me with this pink 540 Frutti Petutie. I checked Sally Hansen at Landmark Trinoma. A botttle this size is around P400. Expensive huh?! I like the wide brush a lot for faster application. Compare with other nail polish brands, Sally Hansen is quick-dry too. This is how my nails look today after half an hour of cleaning and painting. I used Hello Kitty nail design which I got from a store somewhere in Starmall. A closer shot of my nails. Not very neat because I was in a hurry. Look, the ring finger is almost perfect but the little finger is messy. Have you tried a Sally Hansen nail polish before? What can you say about their nail products? Once in a while, hubby requests for home-cooked burger and fries. Last night, which was a Thursday, our family had some sort of fast food buffet. Okay, I know my title says Fast Food Friday but that sounds better than Fast Food Thursday right? Besides, today is Friday and my posting schedule is the same day. My mini burger. A sandwich with mayo-ketchup dressing, thin burger patty, cheese, tomato, and cucumber. Uh-oh, I forgot to put lettuce. I cooked fast food favorites like spaghetti, potato fries and burger. Actually, it turned like make-your-own-burger (or sandwich) buffet. What's in my plate? A mini burger, some fries and a small amount of spaghetti. This concept can be done any day of the week. Just cook your favorite spaghetti and burger recipe (mine was Filipino style spaghetti and carrot and beef for the burger). It's important to choose fresh ingredients like lettuce, tomatoes and cucumber for the burger. As for the potato fries, it should be the last thing to be prepared. Either using ready-to-cook or freshly-cut potatoes, we all know that it is best to serve fries while it's hot. So happy that everyone enjoyed dinner last night. Hubby had fun making his own burger. He made double cheese burger for himself and gobbled it like a kid. On the other hand, the little one liked the presentation of the mini burger a lot. After eating spaghetti, she ate a mini burger while watching TV. I was just inspired to create a Polyvore set for a dear cousin. She is graduating from university this summer with a degree in psychology. She is not that girly type but I hope she likes this outfit inspiration. Well at least, she could be girly on her graduation day. The pieces in this set are mostly way out of her budget. As I said, it is just an inspiration, so what I'm gonna suggest her is to act like someone from A Look for Less and storm the stores for items that look similar, put them together and have fun with it. Remember my super quick stop at the Victoria's Secret Store at NAIA Ternimal 3 late last year? Too bad we were on the hurry to catch our flight to Puerto Princesa City that day. I could have gotten myself my dream passport holder. Next travel that will make me pass through NAIA 3 will be October. Either way, I will shop for some pink and fabulous when that time comes. As of now, I'm going to content myself with this very cute Paris passport holder that I recently bought at Regalong Pambahay in Megamall. They have a Philippine and British version of this but I just have to buy Paris with Love. Besides, who doesn't dream of touring that romantic place, right? This is how the inside pockets look. Detail is just okay.. not so perfect. And.. this is the first page of my renewed Philippine passport. As you can see, it is valid until September 13, 2014 only so hope to fly more before it expires. The first time I used this passport was February 22, 2011. That was when Hubby, daughter, helper and I flew to Hong Kong for a quick vacation. The last travel was going to Istanbul last March 12, 2011 and back to Manila in May 8, 2011 (see my Turkish visa in the photo). So, when will be my next travel using this passport? You know, I am freakin' excited about it because this time, hubby and I are planning to tour not only Istanbul, but Turkey (inshallah)! Plus, I will have a chance to do some shopping. Imagine local brands like Collezione, Matraş, INCI, etc. during the Istanbul Shopping Fest. Plus, international brands like Zara, Mango, Topshop, etc. that are cheaper there compare here in Manila. It was late last year when hubby took me and my daughter to this newly opened Turkish restaurant (authentic) for the first time. On my second visit, I made sure I got a camera with me so I can take photos of the restaurant and my food. Here's my review. The entrance to Bricks & Copper. It is right at the foot of the walkalator going to Super 8 grocery in Shaw 500 Zentrum. The restaurant is not too big but has a warm atmosphere. A yummy appetizer, cheese pide or peynirli pide in Turkish. I paid P200 for this. It is good for 2 people. For the main course, I got a single serving of this pita Döner (similar to beef shawarma) for P99. Hubby likes this a lot. He strongly recommends it. Two choices of sauce for the pita döner.. garlic and chili. I don't like spicy food,so I chose garlic of course! This is the newest addition to Bricks & Copper's menu, lahmacun or Turkish pizza. Serves 2-4. Sorry, I forgot to ask the price of this one. The Turkish way of eating lahmacun is to put a portion of salad on top of the bread, fold it and enjoy. Thus, lahmacun always comes with this kind of salad-- fresh lettuce and tomatoes with lemon squeeze. For dessert, I ordered this sütlaç or Turkish rice pudding for my daughter. A single serving is P80. 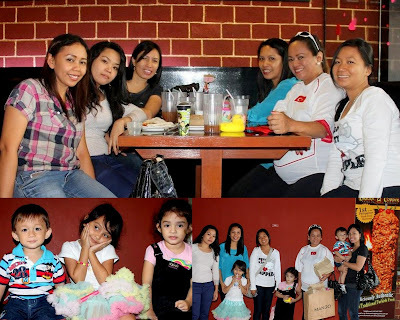 My total dining experience was fun because some women and kids from the Turkish-Online Filipino Online Community joined me. Will I ever go back to this place again? Yes, for sure and that's to get myself some cheese pide, my ultimate favorite dish from this restaurant. Thank you to Chef Ibrahim Keskin and his wife Dhez for the warm welcome and delicious food. Till next time! Note: The last photo is not mine. I borrowed it from F. Yildiz. Almost time for that dinner! Or are you having a dinner date tonight with your loved one? How are you celebrating the Valentine's Day this year? As for me, I started the morning by giving the husband a Valentine kiss, then I handed him my gift before he leaves for work. Before 8 o'clock, I prepared my little one, dressed her in red as instructed by her teacher and brought her to school. Look, she has a card for me and her Baba. Everyone was either in red or pink today. Photo op with one of her close friends.. Carylle. Chocolate truffles.. she gave a box of these to each teacher. She got candies and sweets from her teacher and classmates, too. 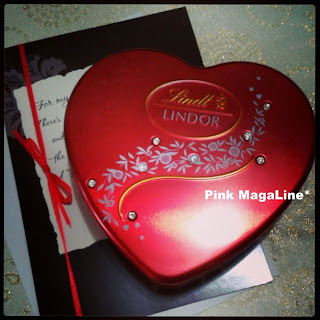 My simple Valentine gift for hubby.. a card and Lindt Lindor. He was kinda shy to receive it 'cause he didn't have anything to give me yet. Hahaha. 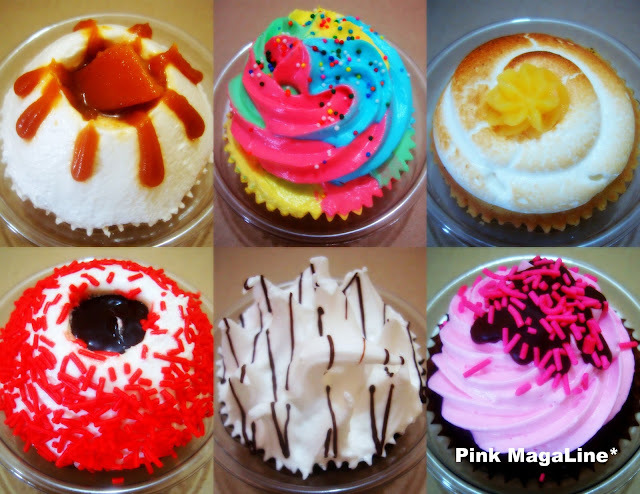 Okay, this is not all.. Valentine celebration to be continued tonight until the weekend. Hehe. Happy Valentine everyone! Try to be extra romantic this love month or at least today!! Muah!!! I got a little busy window shopping for bags today. Err, am I supposed to prepare something for my dearest? Ha, daughter and I already took care of that thing yesterday. We bought gifts for her teachers and for hubby at Shangrila Plaza so we're ready for Valentine's Day. Now, it's time to think of myself too. I already save enough money for it but not planning to do the purchase really soon. I just decided I won't be panic buying anymore 'cause it's just a waste of money. I will choose quality (over quantity) and use the product as long as I can. 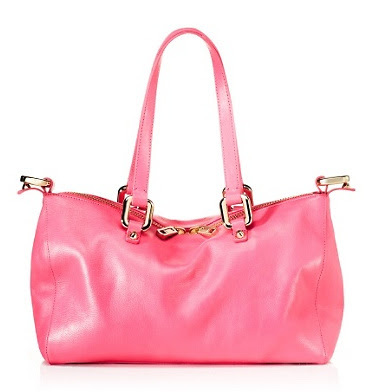 I began hunting for a leather bag again and here are some of the top results for the pink category. 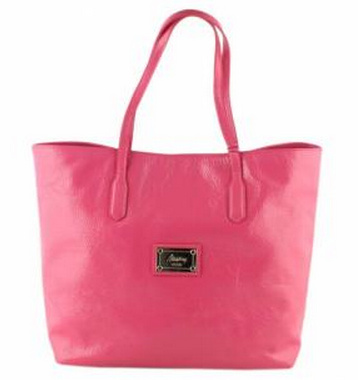 Product Description: Pink saffiano leather. Golden hardware. Buckled shoulder straps. Hanging MK circle logo charm. Michael Kors logo on top center. Product Description: The smooth rectangular silhouette showcases the full-grain leather, luxe gold hardware, and our new signature JC logo plaque. Big gold links connect longer strap. Oversized zip and pull. Interior zip and multi-function pockets. Grosgrain interior trim and fully lined. Imported leather. Dimension: 14"L x 4.5"W x 9.5"H Handle drop 8" Handle length 23" Shoulder drop 10.5" Shoulder strap length 27"
Product Description: Made of genuine leather. Inner zipper compartment and cellphone compartment With removable coin purse. I honestly really like the Michael Kors tote. It is pink and roomy. The fact that Michael Kors is one of the top 10 most popular bag brands worldwide makes me want it more. I wonder how much do they sell this in Manila. I made hubby call one of their stores in Istanbul and learned that they're charging 100% more. Wahhh! The next thing that caught my eye is the Juicy Couture satchel. It looks so kikay. The hardware and the shining leather is very nice to look at. This bags kinda reminds me of Paris Hilton. Too bad it costs a lot if you buy American brands here in Manila. Even I like these two bags a lot, I think I will settle into something more affordable. On our next vacation to Turkey this summer, I will surely visit leather local stores like Matraş, Inci and Desa other than the international brands. Wait, I have to look for more bag choices in either red or blue.